We know how much you all loved our post on 4 common swimming mistakes that showed you some of the things swimmers do that prevents them from making real progress in the pool. 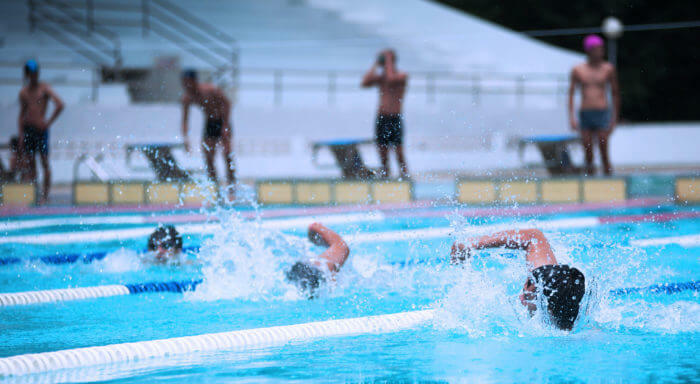 That’s why we’ve decided to give you 4 more things you might want to correct in your swimming habits and technique so you can quickly see amazing results. This is pure physics guys! Sinking hips create additional drag in the water that translates into you slowing down and putting more effort into your swim. To prevent that you need to float on top of the water while still rotating your hips. To practice this you can use a swim snorkel that will prevent you from breathing to the side and help you practice keep your body flat while raising your hips! At the same time do not forget about rotating your hips! We know that it’s a challenge but combining all those things will accelerate your progress immensely. Many of us when first learning to swim are told to hold our breath when we submerge in the water. This is a colossal misconception as this way we burn through our oxygen reserves that are needed by our muscles. This method exhausts our fuel leaving us weak or even unable to finish long distance workouts. It is not an easy task to solve this problem because of our natural reflex to hold our breath while submerged in the water. That’s why we recommend starting with dry practice. Try taking a deep breath and while exhaling through your nose and hum. This will train your brain to pace the breathing just right and help you breathe properly while in the water. Swimming smoothly is all about the balance. Very often swimmers rely on their arms and shoulders too much believing swimming is an upper body workout. This will tire these muscles quickly and you won’t be able to sustain the right intensity of the swim on a longer distance. You are not using your full potential this way and will be a barrier to long-term progress. This mistake is very common as it is so easy to forget about your toes position. Additionally, some of us have a reflex to point their toes while swimming. In reality, this tightens up your ankles which is the opposite of you need as a swimmer. Your ankles need to be flexible and loose. To practice this you can curl your toes as you were trying to pick up a coin or actually try picking coins from a pile on the floor and putting them into a bowl. this will give you a feel of how your toes should curl while swimming. Measure your progress and celebrate your success with Swimmo! While practicing the techniques we talk about in this post you can measure your results and have them saved in your mobile logbook thanks to Swimmo Training Watch and App. This way you’ll see how much implementing our tips has improved your overall swimming results! Exciting Swimmo Status Update - Join Swimmo Family Today!